Colour bombs nail pops – they rock ! This is a post that I’ve been thinking of writing for some time – ever since I made one of my infrequent visits to a small cosmetics store last year and noticed a brand that stood out on the shelf, or in the basket as in this case. 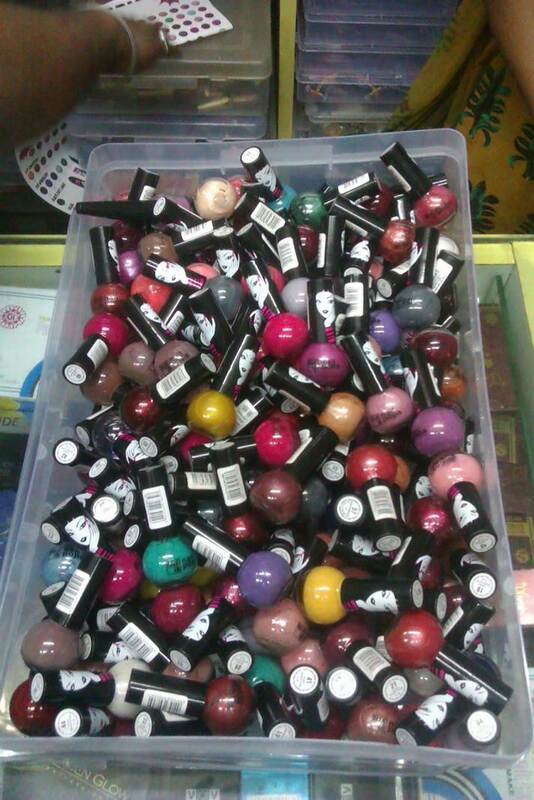 If you’re in India, visit a small ‘gift shop’ or cosmetics shop or bindi-bangle store in your neighbourhood market and take a look at how nail-polish bottles are stocked. 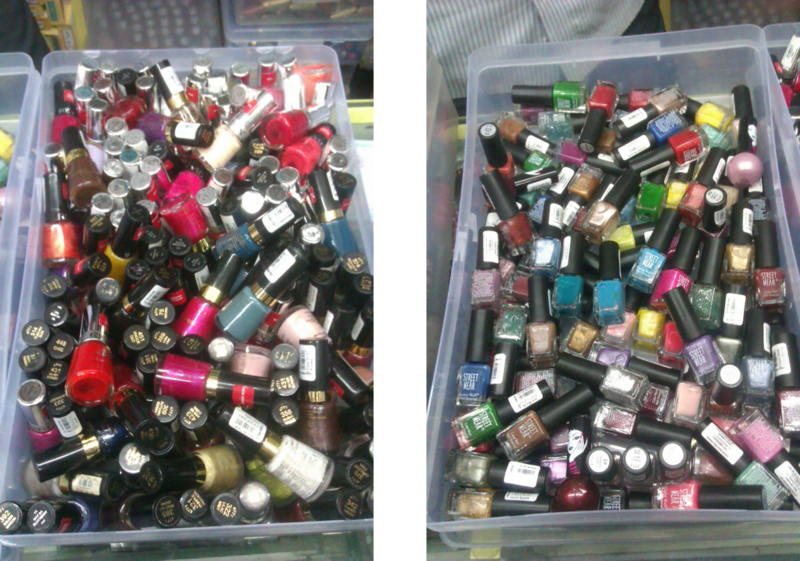 Only expensive nail-polishes from premium brands are kept on shelves, the rest that are priced at Rs. 15 – Rs. 50 per bottle are just dumped higgledy-piggledy into a box or a basket – all colours and all brands together, this box is either kept on the counter or under the counter and brought out when a customer asks to see products. As it is, for the vast majority of consumers, nail polish purchase is driven by colour and price, not as much by brand. To add to it, you have staff at the retail counter who often tell consumers things such as this statement, “aapko color jo pasand aata ai woh nikalo, brand se kya lena dena, sabhi same hai, utne hi chalte hai” (“select whichever colour you like, how does the brand matter, they’re all as popular”). Then how does a brand ensure that consumers are loyal to it and pick it up out of the box each time, from among a huge assortment of polishes such as VOV, Etude, Bo, 8C Lacque, Incolor, Tips and Toes, Caty Girl ( I kid you not ! ), Bonjour, Priya, Ambar, Blue Heaven, BCC, Miss Claire, Honey Sweet (like the Bond heroine ? ), Teen Teen etc. ? Well, at least one brand focused on understanding their TG, creating packaging that would appeal to them and get their attention, and then communicating the same. 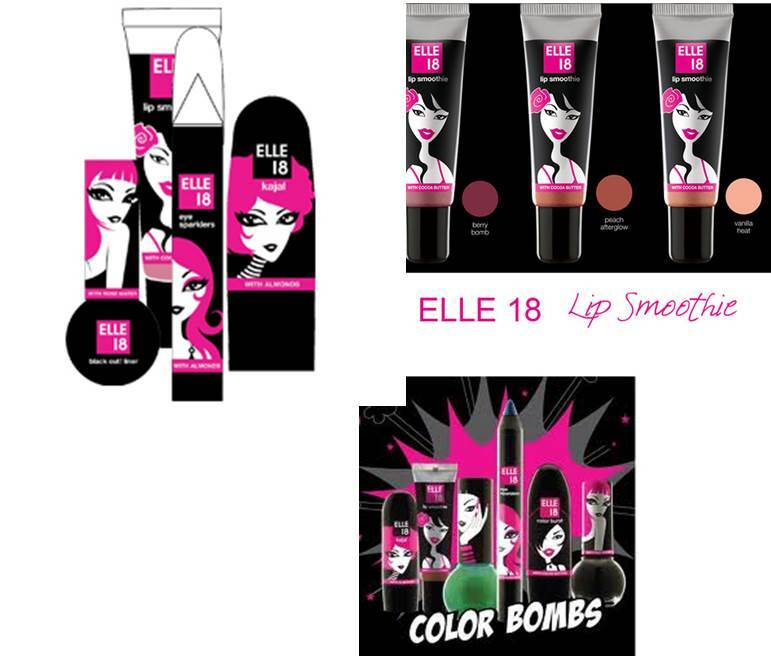 Elle 18, HULs colour cosmetics brand for young women was re-launched in Nov 2010 with the ‘Colour Bombs’ range. The brand was positioned as a young, modern, trendy yet affordable brand for its TG comprising 13-18 year olds who are willing to experiment with explosive colors, as the name ‘Color Bombs’ suggests. These products were made to appeal to a young woman / teenager every which way, beginning with the name itself – which young lady does not (at least occasionally) aspire to look like a ‘bomb’ ? The range has the bright vibrant colours that are all the rage with young women today, the packs have a shape that’s different from the packs of other brands, with funky illustrations of women on them that utilize the little blank space available on the small pack most efficiently. The imagery and colors used in the new packaging and communication are young and edgy and completely different from the earlier plain-Jane look of Elle 18. I just loved the way the image on the nail-polish bottle – which no competitor has – made this pack stand out and grab attention amongst the clutter of products in the nail-polish box on the retail counter. Note : While this post has focused on nail polish, the Colour Bombs range has nail paints, lipsticks, lip glosses, black eye-liner and kohl too, all priced between Rs. 45 and Rs. 100.
p.s Here’s a link to the ad in case you’re interested. Frankly, I didn’t like this ad much and thought it didn’t live up to the excitement and joie-de-vivre of the brand name and the packaging ; but what do I know, I’m not the TG, I’m an Auntyji.